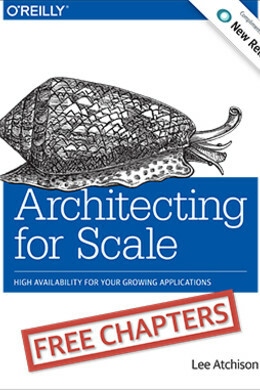 Get your free excerpt of the new O’Reilly book. Compliments of New Relic. Written by New Relic Principal Cloud Architect Lee Atchison, Architecting for Scale helps you avoid the “death spiral” for a growing application environment — brownouts, blackouts, and other quality of service and availability problems. Learn basic techniques for building web applications that can reliably handle huge quantities of traffic, as well as huge variability in traffic, without impacting the quality your customers expect.